Information pertaining to returns and exchanges of Vibram FiveFingers and Furoshiki (our Finished Goods as we like to call them - items we manufacture directly) on us.vibram.com can be found below. For returns and exchanges of merchandise purchased at another retailer or website, please contact that retailer directly. 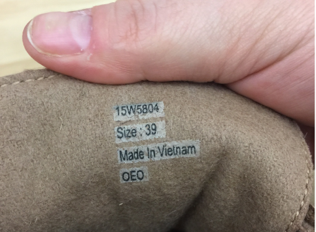 · Any regularly-priced FiveFingers and Furoshiki purchased at us.vibram.com can be returned for any reason within 6 weeks of the original purchase date for a full refund, no questions asked. · Closeout or discounted items are not eligible for a refund. Any closeout or discounted item may only be exchanged, subject to availability. 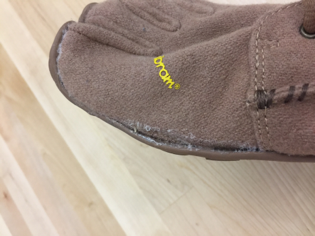 · If your FiveFingers or Furoshiki are found to have a material or manufacturing flaw, Vibram USA will replace your footwear with a new pair of the item returned. While we are able to provide replacements in alternate sizes, we are not able to replace defective items with a different model than the item returned unless the current model is not available. Please note that our warranty does not cover damage caused by misuse, user error, or excessive wear and tear. Any modifications or alterations made to the design of the shoe will void your warranty. · All other returns must be in pristine, unworn, or unused condition. Regularly priced items may be returned for a refund or exchange, all discounted and sale merchandise may be returned for an exchange only. In most instances we will not require that you return your defective item to our warehouse but we will require proof your item is defective. No refunds or exchanges will be issued without approved proof of defect or a return of the item. Please send the below to our customer service team for review. If we find that your shoe is defective, we will send your exchange item or issue a refund with no additional action required. For any questions regarding warranty returns please email or call customer service. We must receive all pristine, unworn, and unused returns to our warehouse before processing your return or exchange. Please ship your return with a carrier that can provide tracking and insurance. We are not responsible for returns lost in transit. Once your Vibram FiveFingers or Furoshiki are delivered to our warehouse, please allow between 7 and 10 business days from the date of delivery for inspection and processing of your refund or exchange. Once this is completed, we’ll send an e-mail to the e-mail address you provided on your return form notifying you that your return has been processed.